When you think of food trucks, you think of innovation. It should come as no surprise, then, that some food trucks are already accepting bitcoin, the digital currency that has been skyrocketing in value lately. 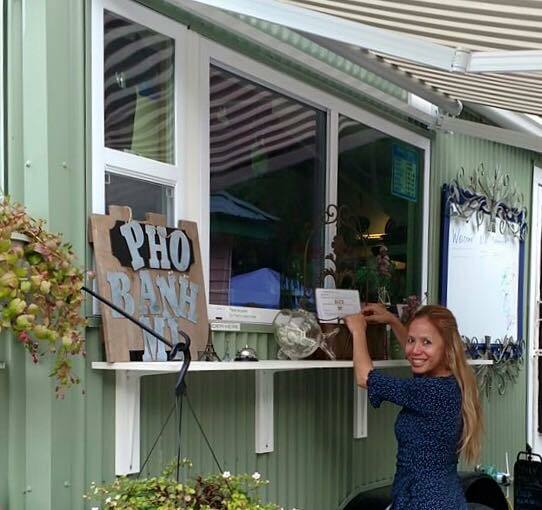 Isabelle Rose’s Vietnamese, French and vegetarian food trailer has accepted bitcoin for a year. Photo courtesy of Bon Vivant — Gourmet Street Food. In looking for a food truck that accepts bitcoin, many people would start in San Francisco, a technology hub that is also home to a lot of food trucks. But those really in the loop on bitcoin will also look in Keene, New Hampshire, one of the most pro-bitcoin communities in the U.S., if not the world. Keene has one food trailer that has accepted bitcoin for the past year, and a beverage truck that is starting to accept it. “We’ve got a very active community of folks that actively promote it,” said Chris Rietmann, who owns Route 101 Local Goods, a Keene gift store that accepts bitcoin and has a bitcoin ATM out front. Reitmann is also active in Free Keene, a pro-decentralization and pro-bitcoin organization. The trailer, Bon Vivant – Gourmet Street Food, operated by entrepreneur Isabelle Rose, serves Vietnamese, French and vegetarian fare. Rose emigrated from Vietnam in 1975 and began making Vietnamese food for the local farmers market in 2009. She started her food trailer one year ago. Rose said she decided to accept bitcoin after learning about it from Free Keene. While only about 5 percent of Bon Vivant customers pay with bitcoin, “If I didn’t accept bitcoin, then I would have less sales,” Rose told Food Truck Operator. Rose, who uses the Jaxx bitcoin wallet for her bitcoin transactions, has a sign on her trailer’s window advising customers she accepts bitcoin. She also has a card people can take that explains bitcoin. Rose likes the fact that the government has not tried to overregulate bitcoin. “I’m sure once they (the government) realize how good it is, that might change,” she said. Customers can pay Rose in bitcoin by scanning a QR code with their smartphones or iPads. She does not purchase things with bitcoin herself since she wants to hold onto her bitcoin and watch its value increase. “I haven’t done anything with mine,” she said, adding with a touch of exaggeration: “It’s just sitting there — I’m waiting for it to go up to a million.” Bitcoin’s price has approached $20,000 in the last week, and its price surge has grabbed the financial community’s interest. 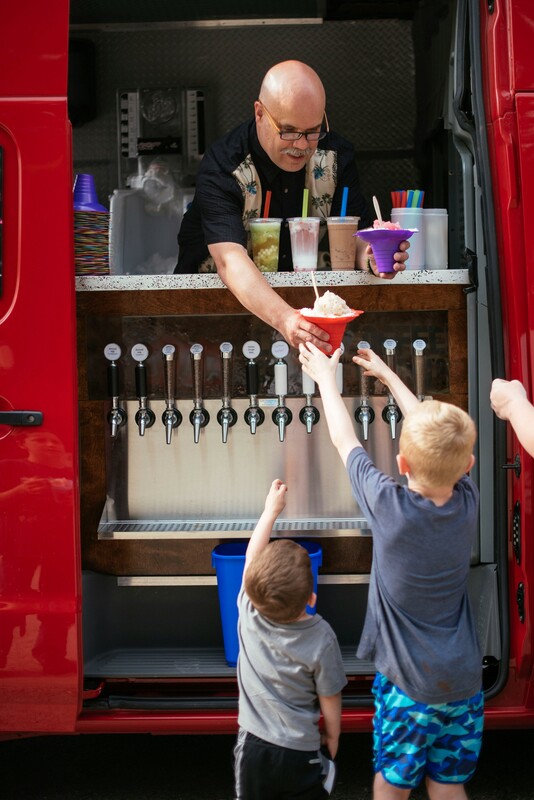 Doug Hildreth will accept bitcoin when his beverage truck resumes in the spring. 320Nitro, a 6-month-old beverage truck in Keene, isn’t planning on letting Bon Vivant get all the bitcoin paying customers. 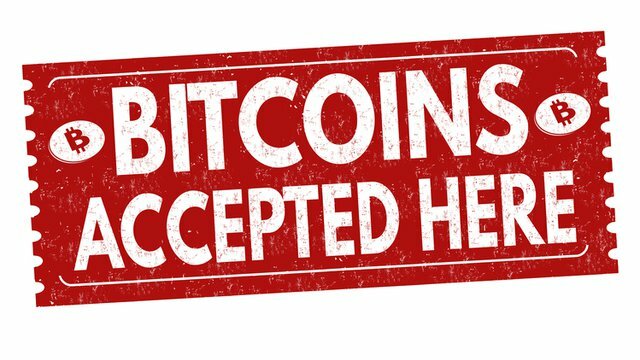 Owner Doug Hildreth is using his down time this winter to begin accepting bitcoin. “We’ll get on the bandwagon before it’s mainstream everywhere,” he said. Hildreth decided to start accepting it after witnessing bitcoin’s recent surge in value. “There’s such a large group of people in Keene that are using bitcoin already,” he said. Helping Hildreth get up to speed on bitcoin was his 31-year-old son, Justin, who works in bank computer programming and has been investing in bitcoin. Hildreth recently opened an account on the BitPay bitcoin wallet. He also signed up for a BitPay credit card that will allow him to pay for things with bitcoin. The bitcoin-funded credit card lets users make payments at any point-of-sale terminal where Visa is accepted in the U.S. and withdraw cash at ATMs where Visa has a logo. “If people (customers) pay a lot with bitcoin, I could pay where I buy food from with the credit card, if I didn’t want to just let it ‘ride’ in the market,” Hildreth said. 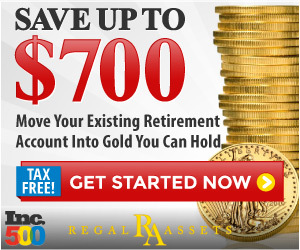 “As long as the market is going the way it’s going now, I’m way more likely to hold on to it,” he said. “It’s been going crazy; it went up 40 percent in 40 hours this week,” he said when interviewed last week. “But it will be nice to have the card, if you think it’s going the other way, to be able to cash out quick,” he said. Prior to taking his truck on the road in the spring, Hildreth plans to accept bitcoin for his “coffee coins.” He sells eight coins for $20, each of which entitle customers to one drink that would otherwise cost $3 apiece in cash. The bitcoin price for the eight coins will vary daily based on the exchange rate between bitcoin and the dollar. When people make a transaction, the bitcoin wallet (in this case, BitPay) will automatically convert the bitcoin amount transacted based on the exchange rate. Hildreth plans to advertise the fact that he accepts bitcoin on Facebook. Come spring, he hopes his Square app will accept bitcoin. Sarah Friar, Square chief financial officer, recently told CNBC that Square is experimenting with bitcoin. If someone shows interest in paying with bitcoin but doesn’t have a bitcoin account, Hildreth will advise them to go to the BitPay website and open one. Keene has more bitcoin friendly businesses on a per capita basis than San Francisco, which is considered the world’s most bitcoin friendly big city. San Francisco has about 120 businesses that accept bitcoin, according to coinmap.org, a website that tracks businesses that accept bitcoin. With a total population of more than 837,000, there is one bitcoin accepting business for about 7,000 people in that city. Keene has 16 businesses that accept bitcoin and a total population of 23,000, meaning there is one bitcoin accepting business for every 1,438 people. Elliot Maras Elliot Maras is the editor of KioskMarketplace.com and FoodTruckOperator.com.